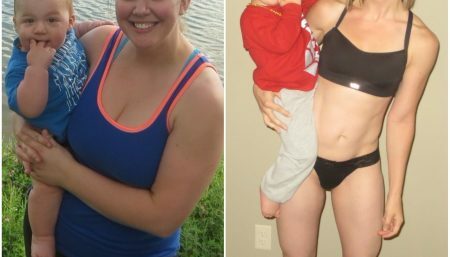 As a NASM-certified personal trainer and Precision Nutrition Level 1 coach, Sarah Pelc Graca has a healthy and balanced life now but that wasn’t always the case. Growing up, she was a ballet and modern dancer. Upon graduating from high school, she attended the University of Michigan as a Dance Major and a Psychology Major, and that’s when things began to change for her. She was STRESSED and EXHAUSTED with juggling 18-20 credits per semester, plus an active social life in a sorority, mixed with volunteer work, plus dance rehearsals. The healthy nutrition habits that she had, had quickly started to evaporate. Because of her busy schedule, she would grab pizza or fast food meals on-the-go. All of the stress of her busy life, mixed with poor eating habits, led to some serious weight gain. 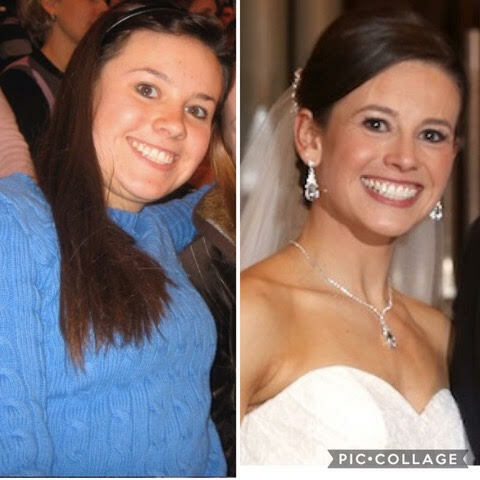 Throughout my college years, she gained at least 20-30 pounds. But soon she knew she had to make a change. But she had NO IDEA where to start. The only thing she did know was that she didn’t want to hop on the fad diet bandwagon. In our series covering #RealWomen in March, lets check out Sarah Pelc Graca’s incredible story about her healthy weight loss journey in an exclusive interview with Women Fitness below. I hit my breaking point and realized I needed to lose weight around 4-5 months after moving to Chicago. I had begun my dance career professionally, and the lack of energy and confidence I felt in the dance studio became too overwhelming. I knew that I had the strength and power to change and lose weight, I just had to learn HOW to lose it. My weight loss journey has definitely had its ups and downs. 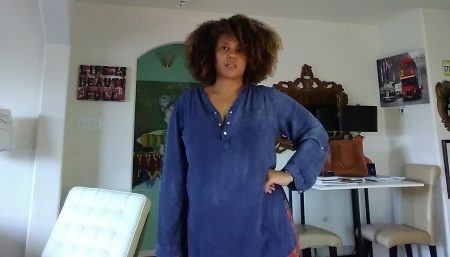 There were a few weeks where I continued to improve upon my nutrition habits, and the number on the scale didn’t budge. The biggest challenge for me to overcome was to find other ways to deal with stress, aside from eating. Especially when my grandpa died in 2010, I struggled to learn other grieving and coping mechanisms. I was so tempted to comfort myself with food, but I knew that deep down, the food wouldn’t make me feel better. I began channeling stress through exercise as well as working on puzzles. It may sound funny, but puzzles allow my mind to relax and completely focus on something different. Variety is key to my fitness routine! I get bored easily, so I always try to spice up my gym routine. During any given week, my workouts consist of indoor cycling classes, a mix of running and weight intervals, and some yoga. In general, my workouts usually last 45 minutes to an hour. I MUST have a motivating playlist to keep me going! For breakfast, I like to include a mix of protein and smart carbs with healthy fats. I usually choose a banana or 100% whole wheat toast with nut butter or a cup of Greek yogurt with chopped, fresh fruit. Lunch usually consists of leftovers from dinner the night before. I always try to include some kind of lean protein (grilled chicken, turkey, etc.) and vegetables. Sometimes I use the leftovers and make a salad. For example, I’ll cut up a chicken breast and throw leftover veggies on a bed of lettuce. Dinner always consists of lean protein and vegetables, but I’m not afraid to eat smart carbs too! Brown rice is a staple in my house. Just be sure to watch your portions! If you include carbs in your lunch or dinner, try to limit the serving size to the size of a cupped handful. Healthy snacks keep me feeling energized and focused throughout the day. Greek yogurt, almonds, cheese sticks, sliced apples with nut butter, and BLANK are some examples that keep me fueled throughout the day. I want to note that these are what I eat MOST days. I still eat pizza occasionally… I just try to eat a salad with it. I eat pasta, and tacos, and even ice cream! I just try to watch my portions, and stick to lean protein and veggies for 80-90% of my meals. Who/what do you consider the greatest motivation behind your weight loss journey? I like to play a game called the “WHY game” with my clients to help them discover the greatest motivation behind their weight loss journey. I did the exact same thing for my weight loss journey. To play, you ask yourself the question “Why do you want to lose weight?” With that answer (for example, let’s call your answer XYZ,) ask yourself “Why do you want to XYZ?” You repeat this process of asking yourself “Why” 5 times. The fifth answer is usually your biggest motivation! Finding internal motivation is the best way to stay inspired long-term. In 2018, I registered to run my first marathon! The longest race I’ve ever run is a 10K (6.2 miles), so I’m stepping up to the challenge and starting to train to run the Chicago Marathon in October! Some tips about leading a healthy life without giving up on chocolate and wine. Find the treats that you absolutely LOVE, and choose to indulge yourself on those. If you LOVE Reese’s but think skittles are just okay, don’t waste your special treat time with the skittles. WATCH YOUR PORTIONS!!! This one is tough. I recommend you always choose the smallest portion of your favorite treat when possible. If you LOVE ice cream, get a single scoop. If you LOVE wine (like me), enjoy one glass of good wine. If you LOVE Reese’s, enjoy one cup and save the other for your next treat day. If you blow your portions out of control, it’ll be extremely difficult to lose weight or lead a healthy, balanced life. Watch how often you’re indulging. Eating treats and drinking wine on special occasions does NOT mean enjoying them everyday. It’s all about finding balance while still reaching for your goals. 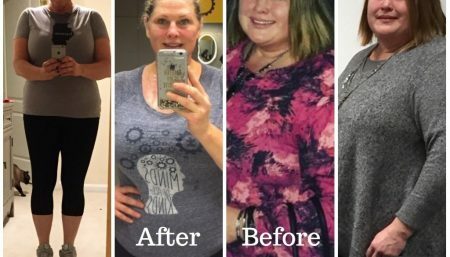 For my body, I was able to enjoy a drink or a small treat every 5-7 days and still lose weight. Remember though, everyone’s bodies are different; what worked for me ( one small treat every 5-7 days) may or may not work for you. Play with how often you can enjoy treats and still reach your goals. Focus on what you CAN eat… Not what you CAN’T. In between your “treat days,” focus on the foods you CAN eat that help you reach your goals. There are plenty of options to choose from, including lean protein, veggies, fruits, smart carbs, and healthy fats. By focusing on all the healthy choices you have, you’ll be much less likely to feel deprived. 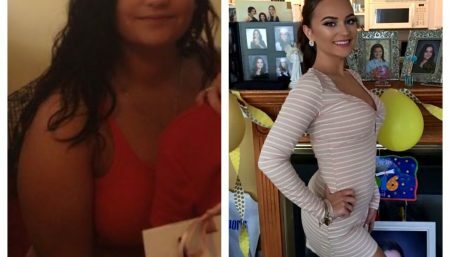 Real Weight Loss Stories Nursing Student Selena DeLuca Sheds 55 Pounds & Looks Stunning!